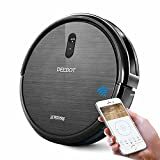 Designed in Germany, Sebo Vacuums 9679AM Airbelt K2 Kombi Canister Vacuum is part of the Airbelt K series, offering one of the best mid-size, lightweight, and traditional canister-style cleaners on the market. Sebo Vacuum reviews have described the K2 Kombi as a powerful, reliable and extremely silent appliance that remains within the range of competitive Sebo vacuums prices. Weighing a mere 12lbs, it is considered to be one of the manufacturers’ most compact vacuums, maintaining the high standards. Users have praised this versatile product for offering an efficient cleaning experience and an affordable price. With its versatile design, this cleaning appliance includes straight suction, suction adjustment, and retractable bristles. These features provide additional efficiency and effectiveness when cleaning both rugs and hard floors. Like other vacuums, the K2 canister model is considered powerful, reliable, and ultra-quiet. 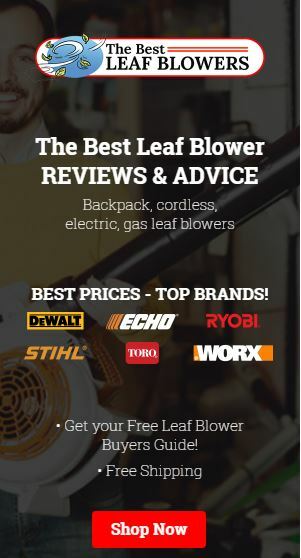 What sets it apart from other models is its long-term warranty, ensuring you get bang for your buck and many years of use. Unlike other models on the market, this one has a full bag or clog indicator feature. This handy feature ensures you are always aware of the condition of the Sebo vacuum bags on your cleaner. The soft bumper around the canister housing ensures that your vacuum, furniture, walls, and home are protected whilst it is being used. Another key feature of the K2 Kombi is its light and maneuverable design. Furthermore, it is compact and easy to use and store, a feature that many reviews have stated is a real bonus. There are a number of reasons why this cleaner can neaten up almost every surface with flexibility and ease. It has been praised for its sleek, user-friendly and powerful German engineering. With its easy to use design, it is considered one of the best canister vacuums on the market. Some of the key features available in this Airbelt Canister cleaner include straight suction, three onboard tools, kombi nozzle, 4 ft extendable wand, and a 25 ft retractable cord. These features guarantee you a simple and effective cleaning experience on almost any surface. The K2’s straight-suction feature includes telescopic tubes and hoses as well the “Kombi Nozzle’, which can be used specifically for cleaning hard floors or rugs. The three onboard tools include a crevice tool, upholstery nozzle, and dusting brush. These provide the product with additional and targeted cleaning abilities to improve efficiency. The unique Kombi nozzle and onboard tools make it incredibly easy to tackle clean surfaces, bare floors, and hard to reach spaces enabling you to catch the finest dust particles. Other models on the market require attachments for different cleaning scenarios. 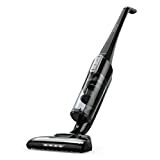 The Sebo vacuum has a 3.5-inch floor head profile which allows you to reach under chairs, furniture, and beds seamlessly. Additionally, the appliance includes rubber wheels designed specifically to reduce any stress in your wrist whilst cleaning, as well as avoid damaging your floors, walls, or baseboards. This makes cleaning almost any surface quick, safe and easy. The K2’s 4 ft extendable wand ensures that cleaning any area is simple and quick. Whether it’s behind the couch or those pesky cobwebs in the corners of your roof – you’ve got it. The tug and retract 25 ft cord allows for an approximately 37ft cleaning radius, enabling you to clean the entire house with ease without the need for multiple power outlets. Despite this model not having a powered brush, it is able to effectively clean high and low-pile carpets as well as hard floors. 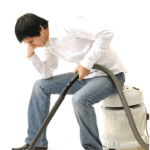 Reviews show that it picks up more dirt and dust on average, which puts it ahead of many powered and unpowered brush vacuum cleaners on the market. 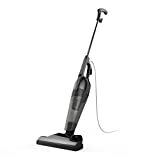 With its mid-size canister, quick attach and detach tools, and adjustable suction, this model is made for cleaning your entire house, be it a large floor or a tiny crevice. Additionally, the cleaner features a sealed system as well as a 3-stage filtration system which removes 99.97% of particles. This creates better air quality, making it an ideal product for people with allergies or asthma. What makes this appliance stand out is its full bag or clog notification. When there is an excessively dirty microfilter, the bag is full, or there is a clog somewhere in the airflow pathway, an orange warning light will appear. An airflow bypass valve will open, which will prevent overheating or motor damage. 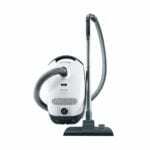 The K2 Kombi is considered to be one of the most silent vacuum cleaners on the market putting out just 68 dBA of noise. This makes cleaning a pleasant and noise-free experience. There is an additional option to turn down the motor at night, making it even quieter. Weighing a mere 12lbs, it is one of the most lightweight canister vacuums on the market, making it easy to store when not in use. With its user-friendly, ergonomic design, this model has an easy to use handle, allowing for a smooth cleaning process. The unique air belt bumper and rubber-coated wheels ensure that you are able to move around the house with ease, all the while keeping your unit and home safe from scuffs and scratches. With an airflow of approximately 120 cubic ft per minute, this cleaner is one of the most powerful canister vacuums on the market. When it comes to vacuuming your house, a wide cleaning radius is non-negotiable. This model accommodates large extendable chords and a 27ft cleaning radius, removing the need for multiple outlet changes. The Sebo K2 vacuum comes with additional onboard tools including a crevice tool, dusting and parquet brushes, and an upholstery nozzle. These add another level of effectiveness and efficiency to your cleaning process. Like any electrical appliance, problems may arise and you may need to replace certain parts at some point. 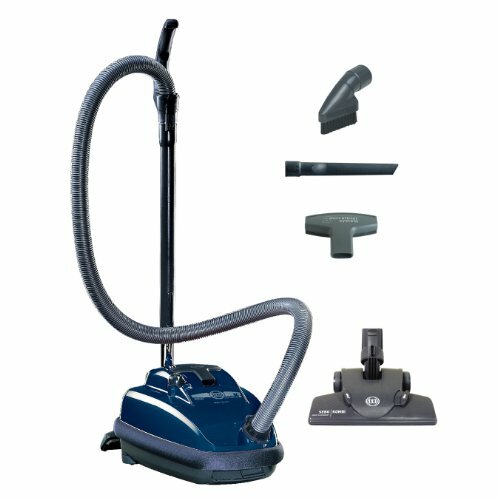 The Sebo K2 vacuum includes an extended protection warranty. The appliance comes with a 7-year warranty on the motor. Additionally, it has a 5-year warranty on parts and labor, including but not limited to belts. This means that your product is covered, ensuring you get years of good reliable use. One up from the K2, the Sebo K3 is small but effective. It includes a strong ET-1 power brush, perfect for deep cleaning carpets. 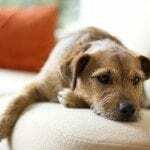 Unlike the K2, it is a must-have for pet owners, with its enhanced pet-hair suction abilities. The K3 is easy to use and maneuverable also including a soft foam bumper to protect your unit and your home when cleaning. Like the K2, the K3 has an extendable chord and large cleaning radius. Users have described it as an easy to operate, low noise, sturdy and high power. Despite being slightly more expensive than other similar models, it is great value for money and a long-term investment. Designed to make cleaning hard floors and carpets easy, the Sebo D4 Premium is powerful, ultra-silent and houses three onboard attachments. 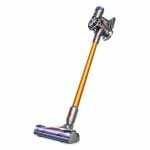 Housing the same high-quality Sebo vacuum parts, it has a long extending chord and a much wider cleaning radius than other similar models. This unit includes a 12-inch commercial quality, high powerhead, and a parquet brush, making it much easier to deep clean carpets or hard floors. The D4 includes a 320° rotating canister connection as well as a tapered hose. This ensures smooth maneuverability and increased airflow for an optimal cleaning experience. 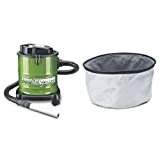 Designed for customers looking for a long-term, reliable, and durable canister cleaner, Sebo vacuums K2 Kombi cleaner is for you! With its large cleaning radius, additional on board-tools and its high filtration, it makes cleaning any part of your home pain-free and easy. Ideal for people with allergies this appliance will be able to remove even the smallest dust mites from any nook or cranny. Its lightweight, powerful and easy to use design makes it one of the best canister vacuums on the market. The K2 Kombi vacuum cleaner is a one-stop shop, enabling you to clean any part of your house with minimal effort and no noise.